My Mama’s from Cardiff, she left at 17 but moved back 2 years ago re-introducing the family to this gorgeous country. I visit the city a lot and have totally fallen in love with the area (although nothing will drag me away from my London roots!). My fave place in the Cardiff area is Penarth, it’s only a 15 minute train ride for the centre of Cardiff and is set on the ocean with a beautiful vintage pier offering gorgeous views of Penarth. We also offer our crafty workshops in both these locations and a location of your choice anywhere in South Wales. Take a look at our Flower Crown and Fascinator Workshops on the button below for all the details. 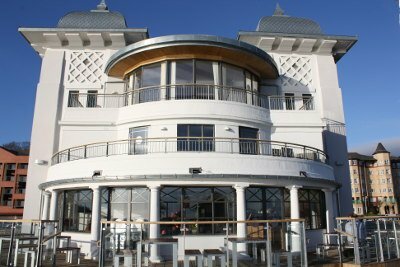 The pier is a great place to start your Cardiff Hen Party and I would start with brunch at The Pavilion Cafe. The Pavilion Cafe on Penarth Pier. As well as breakfast they have good coffee and home made cakes! We love a bit of vintage dancing and Lindy Hop Cardiff are creating fantastic nights out with classes included. They also run hen party dance classes. They even have a class on the Penarth Pier, it’s called “Swinging At The Pavillion” (pictured below) and it looks like so much fun. 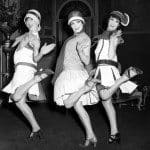 They can teach you The Charleston in a one hour class for hen party groups….I so want to do this wearing a Glam Hatters’ Great Gatsby Inspired Head Piece and a Flapper dress. Wear your Gatsby head-piece created with Glam Hatters and take a Charleston dance class. Check out their events page for Lindy Hop classes and events in Cardiff, it is constantly being updated with super-fun events and would be the perfect website to help with planning your Cardiff Hen Party. Take a Water Bus from Penarth to Cardiff Bay. The yellow boats will run approximately every 40 minutes between Penarth from the Cardiff Bay Barrage, and the Pier Head in Cardiff Bay close to Mermaid Quay. Each one way trip takes about 15 minutes. 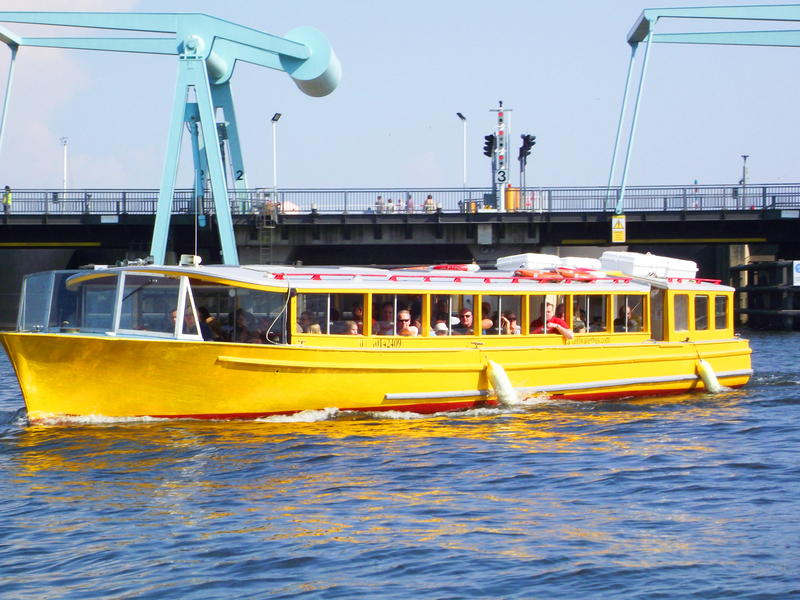 You can go by The Water Bus timetable or hire the boat for your hen party! Head to Mermaid Quay or Cardiff Bay for a lively evening. There are tons of bars and restaurants to choose from here and in next week’s post we’ll be getting top tips for a great night out in Cardiff from our Welsh Glam Hatter Girl Amanda. Rest your weary feet and bleary head at the end of your hen party in Cardiff at The Holm House Hotel. Then on the morning after your hen party be pampered at their beautiful spa. If all the partying has worn you out The Holm House Hotel is located in the tranquil setting of the Penarth cliff tops, with stunning views of the Welsh coastline, it is the perfect seaside escape. Housing 13 gorgeous rooms this is the perfect place to rest your weary head after a full day of hen party fun. 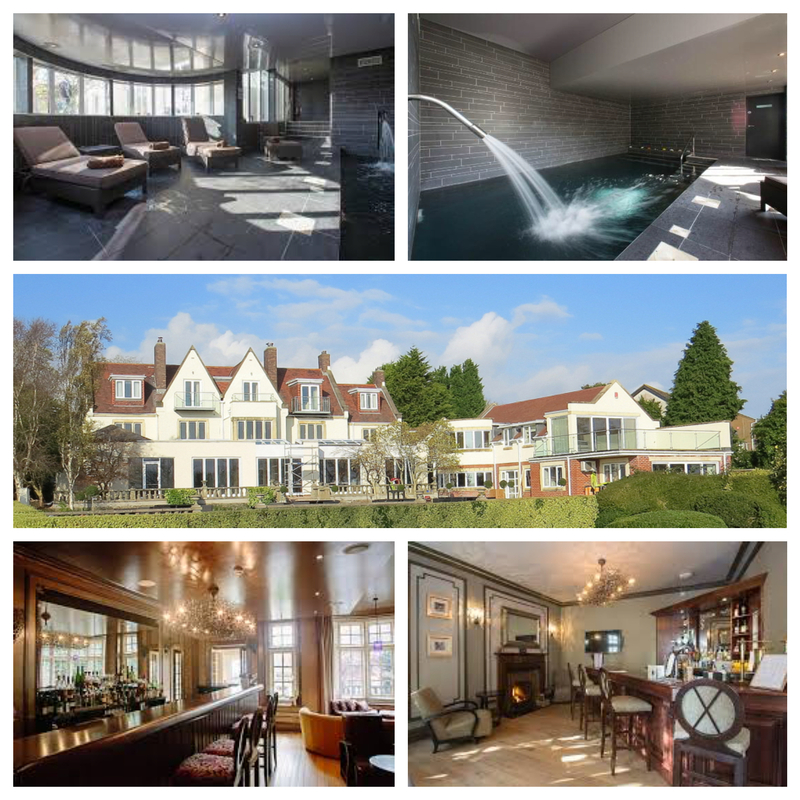 Holm House Hotel is the place to rest your weary hen party head! After a peaceful nights sleep you can wake up and enjoy spa treatments in The Holm House Spa. I particularly fancy the hot stone treatment and I’m pretty sure it’s a traditional hangover cure. Rejuvenation at The Holm House Hotel. For The Pavilion Cafe click here. For Lindy Hop Cardiff, click here. For Cardiff Bay and Mermaid Quay, click here. For The Cardiff Water Bus, click here. For Holm House Hotel, click here.